For a healthier alternative to conventional products, Earthborn Ecopro Emulsion is water-borne, acrylic free with the Matt Emulsion offering good levels of breathability. 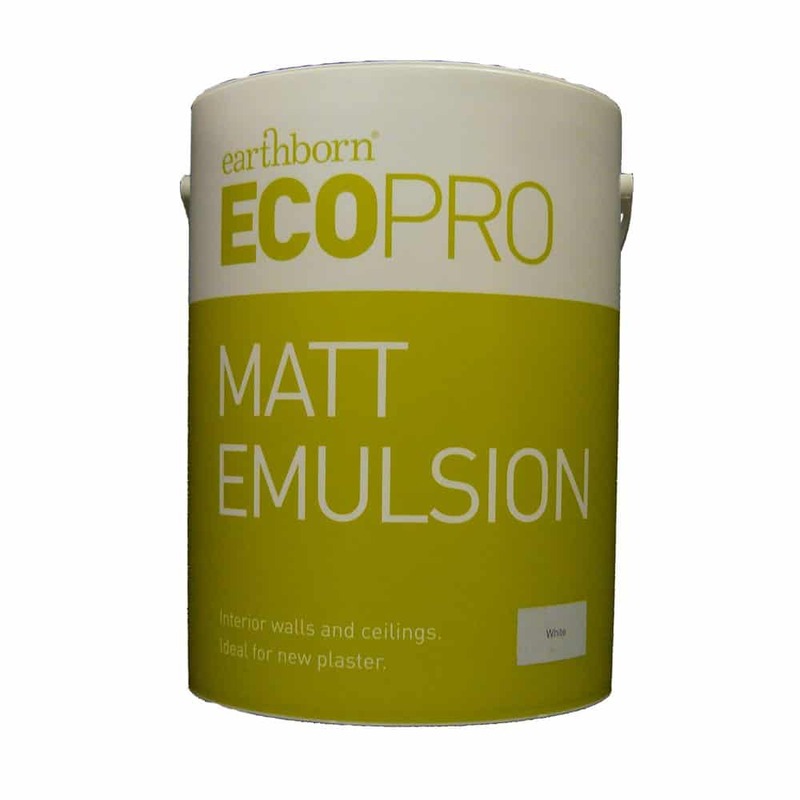 Earthborn Ecopro Emulsion is also highly practical, offering excellent covering power and providing a wipe-able, anti-static, MATT finish or LO SHEEN on internal walls and ceilings. View the Colour Chart here. Easy to apply with standard brush, roller or spray. Low odour, pleasant to use. Breathable, creating a more comfortable, healthy living environment. Earthborn Ecopro Emulsion is virtually free from oils, acrylics and VOCs. It has a high solids content which gives it excellent covering properties and makes it easy to apply. It is wipe-able, breathable, anti-static and low odour. Surfaces must be dry, clean and free of dust and grease. Remove all loose plaster and make good uneven areas with filler. All unstable (flaking/peeling/powdery) paint surfaces should be removed with a brush or scraper. Oil paint surfaces must be lightly sanded. Stir thoroughly before use. Apply Earthborn Emulsion with a brush, roller or spray gun. For best results, apply 2 coats. For porous surfaces such as new plaster apply an undercoat of Emulsion thinned with water (four parts paint mixed with one part water). Allow to dry between coats. Approximately 8 m²/litre per coat. In normal temperatures and humidity, allow 6 – 12 hours drying time between coats. The emulsion is touch-dry after 1-2 hours. The final painted surface is fully wipe-able after 10 days. The Earthborn EcoPro emulsions are available in the full BS4800 colour range. A PDF is available below or please contact us for a colour chart.